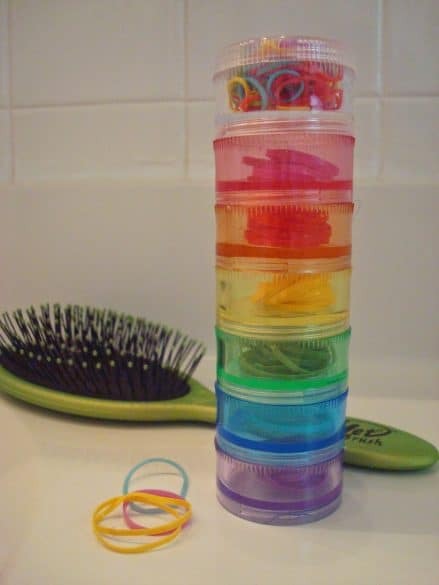 If you are the mother of a girl or girls you know how hard it can be to keep all of their little hair accessories organized. 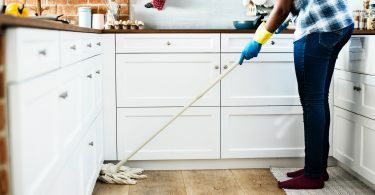 Here are some great options! 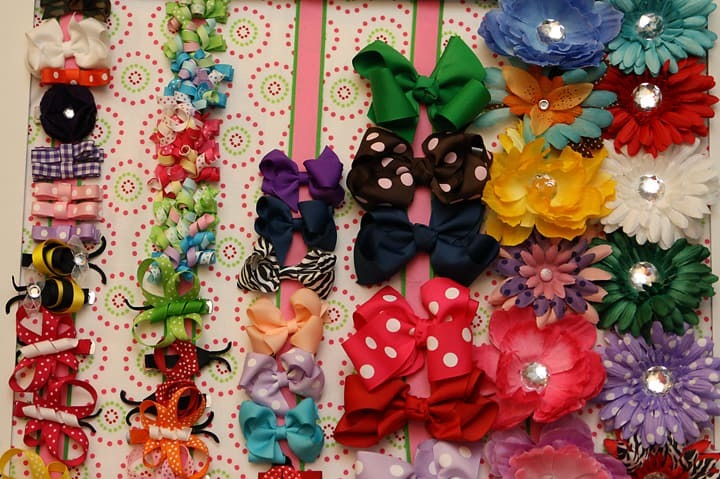 If you are a mom of girls, chances are you have a lot of hair accessories. It’s important to organize hair accessories because it can get messy quick. 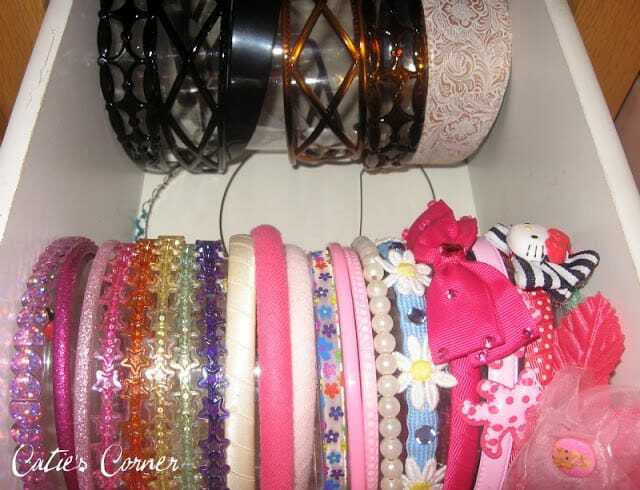 I’ve rounded up some great girls hair accessories organization solutions for you and divided them up into sections depending on what you need to organize: headbands, hair elastics, clips/bows or a combination of everything. This headband holder is actually a craft supplies holder with the jars removed from the bottom. Or, if you’re handy with a saw, you could make something similar and then simply hang it on the bathroom wall for easy access. If you’ve been wondering what to do with your oatmeal canister, wonder no more! This upcycled headband holder can be customized with any color you want, plus you can use the inside for even more storage. You can keep your headbands out of sight in a drawer, plus keep them organized using a 2-liter bottle! 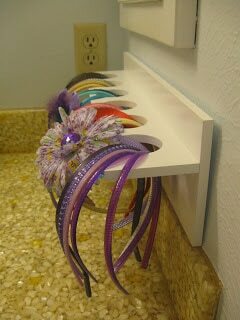 Just trim off the top and bottom to fit the width of your drawer and you have instant headband storage. What a fun and unique way to use a crib spring! 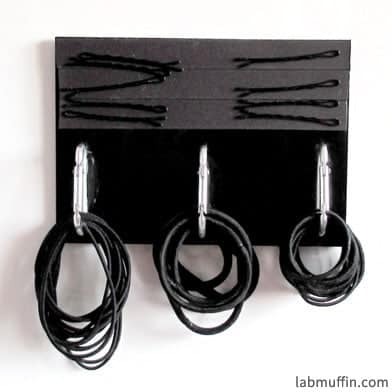 Spray paint the springs, hang it on the wall and you have all the space you could need for headband storage. Use some carabiners glued to a small board and add a magnetic strip on the top for bobby pins. This is such a simple and compact way to store two hair accessories that get lost easily. If you’d rather store your elastics somewhere less visible, but still keep them organized, you can use a carabiner for that too! 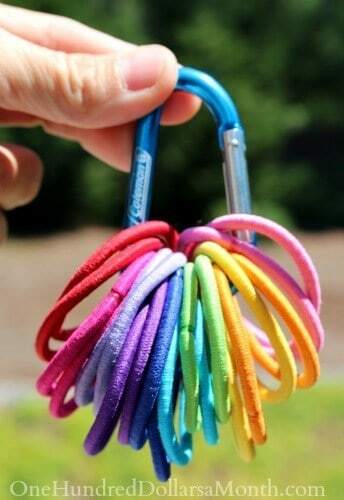 It might even be fun to coordinate the carabiner color with the elastic color to make it easier for your kids to know where to put them. 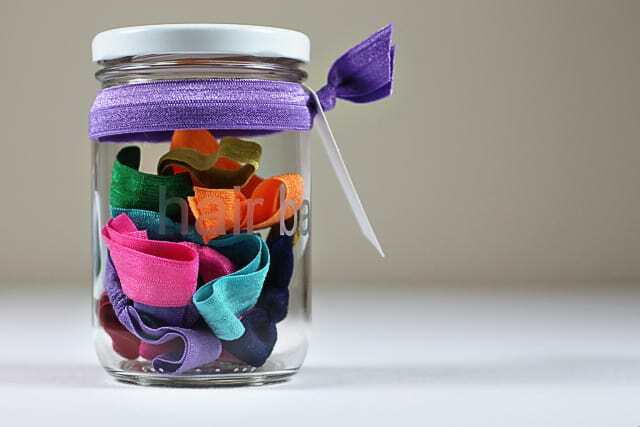 You can reuse a glass jar to store your elastic bands! This storage option is super simple and effective, plus you can grab a basic tutorial on how to make hair ties using fold over elastic. There are a lot of different sizes of medicine pillboxes. 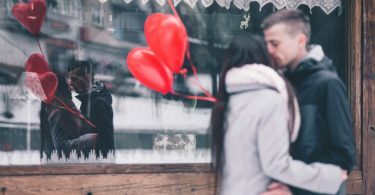 You can find them at the dollar store, Walmart, Amazon or almost anywhere else. Since they are already organized into compartments, it makes sorting colors easy and keeps them separate. 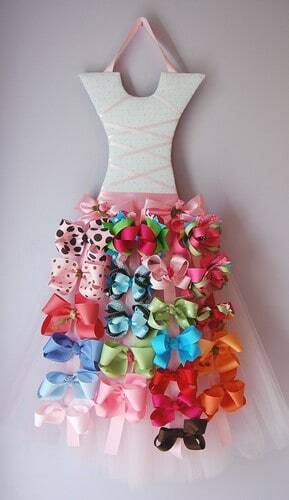 How cute is this tutu bow holder? 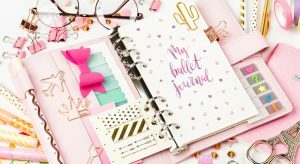 It was be so easy to customize with the colors, patterns and overall style you want. 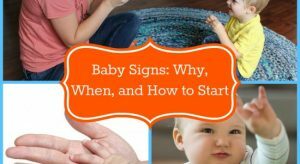 Instructions are included on how to make your own by clicking on the link. This vintage window is so easy to upcycle with a little bit of paint, some chicken wire and hooks. Perfect for holding all the hair bows! 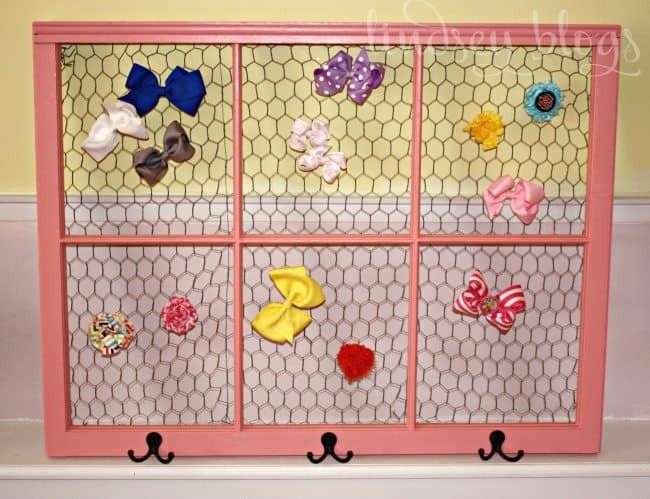 Another great hair bow holder option if you like a little DIY. This one uses a frame, fabric and ribbon. 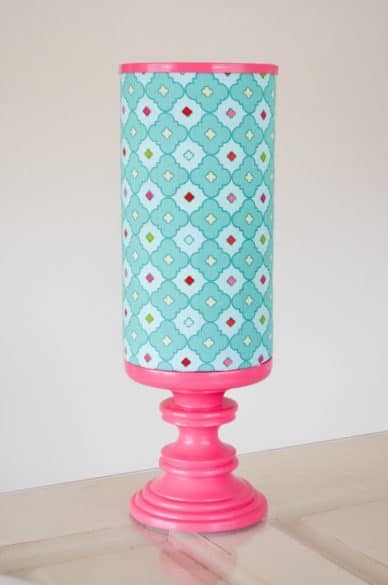 I love this hair bow holder from an old lamp! The ribbons mimic a lampshade and then you just clip the bows on.